Printed on Acid Free Paper suitable to frame and mount. This is a Giclee (pronounced G-Clay) Print from and original painting by Charles Randolph Bruce, co-author of the Rebel King series of book. Giclee is a process that reproduces the art in very exacting color and clarity. Each print is signed and numbered by the artist. and comes ready to mount and frame. The finished size is 16" x 20". 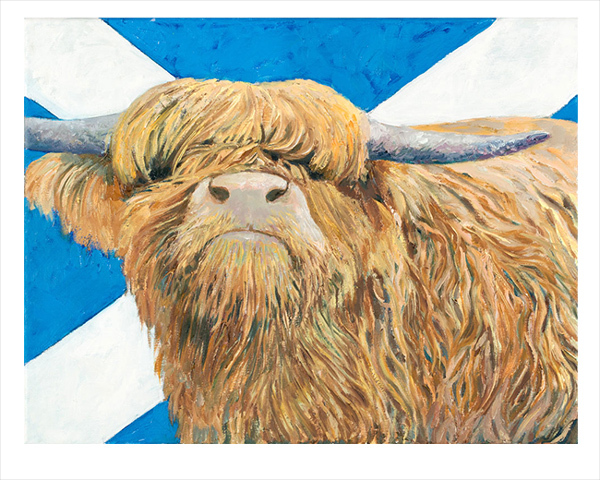 If you love Highland Coo's this is a must have for your collection. The original is also for sale at $650. If interested please call us @ 877.498.7268 M-F 10-6PM EST.